High quality. Reasonable prices. Doesn't get much better than that, does it? 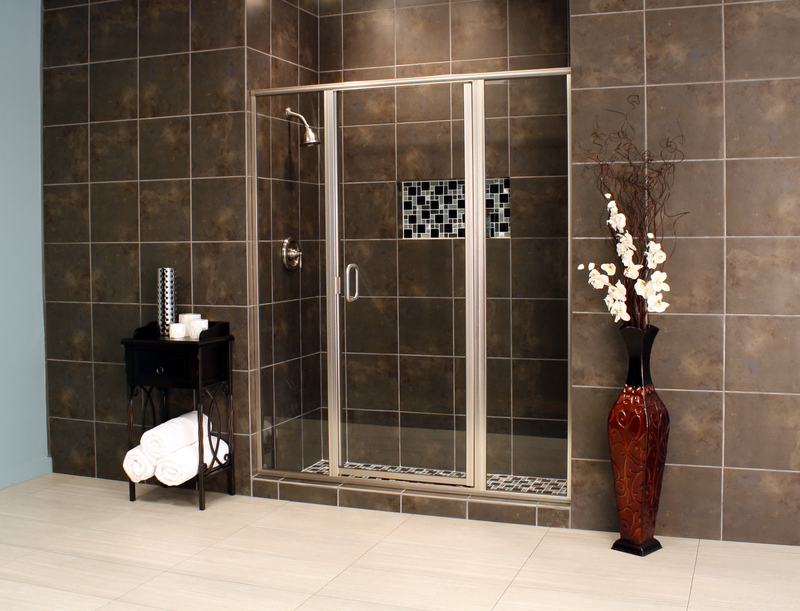 The Cardinal Series are semi-frameless enclosures. Standard Heights: 69", 72", 75", 80", 90"
Glass: Stock Glass: 3/16" Clear, Obscure or Rain. Additional 3/16" and 1/4" patterned and colored glass selections available. See all glass options here. Hardware: 3 header styles, plus Steam Kit style for enclosures going all the way to the ceiling. Four pull options, including the basic stock pull, through-the-glass c-pull or Apollo style c-pull, or a towel bar/pull combo. See a master list of examples of headers, pulls, towel bars, and knobs here. Standard Heights: 55 3/8", 56 3/8", 57 3/8", 62 3/8", 65 3/8", 67 3/8", 70 3/8", 73 3/8", 76 3/8"
The Cardinal Builder series is the base line of sliders designed to last for years. 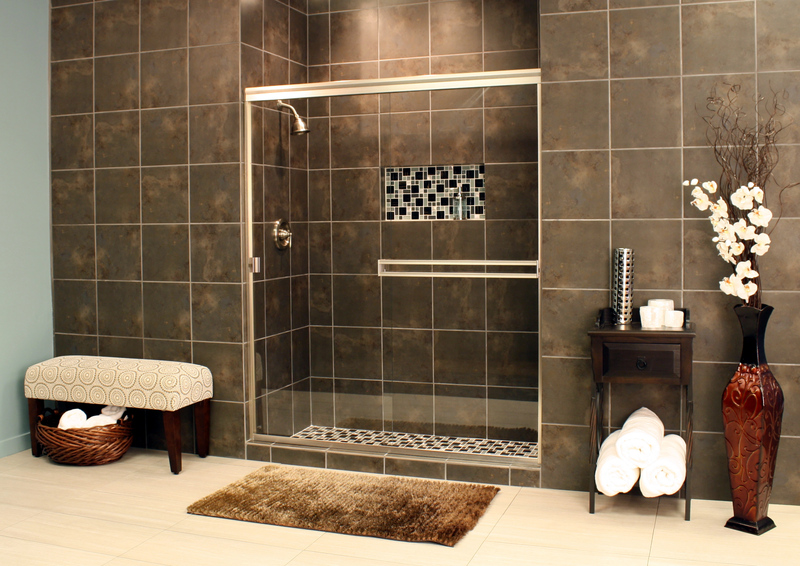 Several stock sizes are available to match most fiberglass tub inserts and basic tub and shower enclosures. Sliding door only. Glass: Stock Glass: 3/16" Clear, Obscure or Rain only. See examples of glass options here. Finishes: Brushed Nickel or Chrome only. See samples of finishes. Hardware: The Cardinal Builder Series header, plus standard double towel bar. 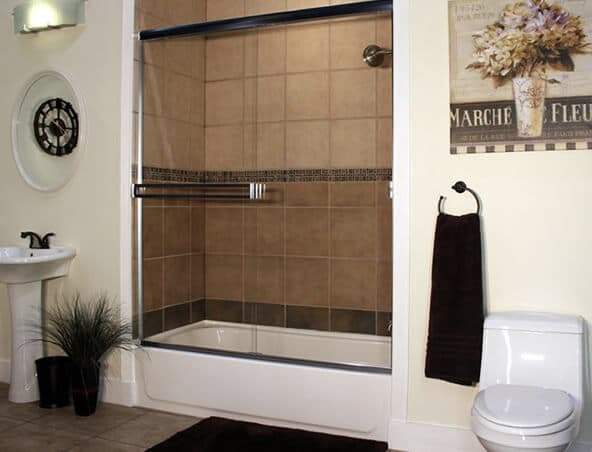 See a master list of examples of headers, pulls, towel bars, and knobs here.